At Pubcon 2014 in Las Vegas the SEJ team was able to catch up with three experts on the subject of local search. Below you will find videos of Brent Csutoras interviewing Brian Lafrance Authority Labs John Rampton interviewing Kris Jones of LSEO.com, and Kelsey Jones interviewing Mary Bowling of Ignitor Digital. Each of these experts provide actionable tips that businesses can use to rank well in local search results. A search in one area can differ a lot from a search in another area, which is something people aren’t paying attention to as much as they should. In a given search you could get 5-6 local results on the front page, and that’s not even including the Google local pack. If you want to rank in a specific location where you’re not currently ranking very well, the best thing to do is create content specific to that location. Look to see if that location has its own online communities, like forums or subreddits, and engage in those communities. Become an authority within that location. 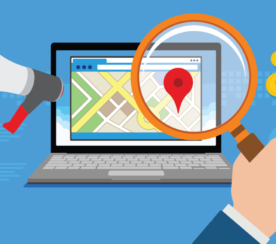 The more the name of your company gets mentioned alongside the location you’re trying to rank for, the better your chances of improving search visibility for that location. Something holding small businesses back from achieving success in the local SEO space are the facts that they’re not used to outsourcing, and most agencies simply charge small businesses way too much. For those small businesses that aren’t comfortable with outsourcing, there are a ton of great resources out there for them to self educate. To small business owner, SEO can seem like an incomprehensible psuedo-science, but once you peel back what really goes into how Google ranks businesses you find it’s not so much theoretical but quite practical. If the small business owner can take it upon themselves to identify those ranking factors and the steps that need to be taken, they can take better control of their online marketing. With so much importance being placed on Google+ Local, businesses should be treating their Google+ business page with as much importance as their website. Another thing small businesses should focus on is getting more online reviews as that’s one of the primary ranking factors for local SEO. Something small business owners should be aware of is Google’s new local search algorithm, nicknamed “Pigeon”, which aims to serve search results based on proximity of the searcher. To please the Pigeon ranking signal, small businesses should be looking more towards organic SEO than paid search. They should be trying to get more local links pointing to their site. 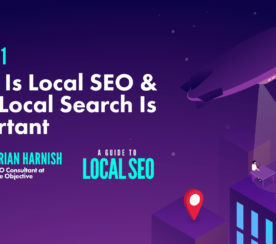 If you really want to rank well in local search, another good piece of advice is to think about what you would do to promote your business in the local community if the Internet didn’t exist. Doing those kinds of things will indirectly lead to getting links to your website. 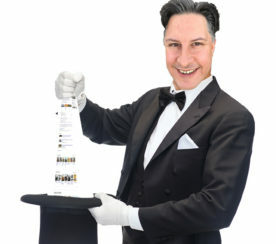 Directories are also more important than ever when it comes to local SEO. Find the directories that are ranking for the terms you want your business to rank for, and then make sure your business is listed in those directories.